Grace Ethel Cecile Rosalie Allen – Gracie Allen – or just Gracie – was the most popular woman in America. She enchanted audiences in small-time and big-time Vaudeville houses, in movie theaters, on the radio and on television. She even ran for President of the United States. During a career that spanned four decades, audiences the world over knew her as just Gracie. And she did it all with one act. She played dumb. But it was the smartest dumb act in show business history. Gracie Allen was barely five feet tall and had a child-like voice. She was destined for show business. Her father, who disappeared from the family when Gracie was five years old, was a song and dance man who traveled in minstrel shows up and down the West Coast. Her mother, who everyone called Pidgie because she remarried a man named Edward Pidgeon, loved show business. Pidgie always wanted her children to be famous so when she was pregnant with Gracie she would go to her neighbor’s house every day because the woman was a great opera singer in hopes her child would be born a singer too. Pidgie would later say often that the first time she heard Gracie talk and heard that voice, she immediately went out and bought dancing shoes. Gracie’s mother would stay up late at night sewing dresses for Gracie and her three sisters, Bessie, Pearl and Hazel to wear to dancing school. The girls were experts in Irish and Scottish dances and won contests whenever they performed in church functions and county picnics. To earn extra money the Allens gave private dance lessons in the basement of their house. Bessie was so good that Sid Grauman used to tell people “if you want to learn tap you have to go to Bessie Allen.” Gracie never felt she was as good as her sisters and was in awe of Hazel who could dance and play the piano at the same time. Honestly, I have a hard time picturing that but what do I know about show business. Gracie inherited her mother’s love for show business though and was in awe of movie stars. Her favorite after school pastime was strolling from theater to theater in downtown San Francisco, where she grew up, just looking at the pictures in the lobby. On Saturdays or on days off from school, Gracie spent her allowance on matinée theater tickets. But while she loved live theater, her idol was film star, Charlie Chaplin. He was the first man she ever wanted to marry. She used to say she made her film debut co-starring with Chaplin because for her birthday in 1912, during which Chaplin was filming a movie in San Francisco, her step father took her to watch the filming. Gracie met Chaplin and the film star had the cameraman take moving pictures of the two waving to the camera. Gracie never got over her crush on Charlie Chaplin. Gracie was an accident-prone child since she’d learned to walk. At a year and a half she’d reached up to the stove and pulled down a large pot of boiling tea. Her left arm and shoulder were scalded badly, and for a while it looked like they would have to amputate her arm. They were able to save the arm but she would never be able to straighten it completely and the scarring would be a source of embarrassment for her entire life. Gracie can never be seen wearing short sleeves or without long gloves, something that became a fad after she became a popular star on stage as many of the other women who emulated her dumb act also donned long gloves. Not long after the scalding accident, little Gracie knocked over a glass storm lamp and shards of glass flew into one of her eyes. She had limited vision for the rest of her life. Gracie and her sisters had a harmony singing act called The Four Coleens but by the time Gracie was a teenager the act had broken up. The act lasted long enough, however, for Gracie to be bitten by the show business bug in earnest. Now she had to be on stage. Gracie stayed alone in New York while her sisters returned to San Francisco. It was the practice for members of failed vaudeville acts who would disband to simply try to reteam with someone else to see if that combination worked. Both Gracie and a young New York comic named George Burns went through those rounds, trying out acts to see if they’d fit. According to George Burns, in order to make it in Vaudeville you either had to be the best or the worst. “In fact” he said, “if you were the best at being the worst, you were the best.” George had worked with many partners, including a seal and thought that for his next act, which would surely take him to the apex of vaudeville, the Palace, he’d try working with a woman. The decision was easy enough since he felt the best jokes he’d written were about dating. Knowing she was looking for a partner too, Gracie’s roommate brought her to see Burns’ act one day and introduced the pair backstage. Gracie liked his act and the two soon set an appointment to meet to discuss the possibility of appearing together. It took one meeting for the most successful pair in entertainment history to decide to work together. They also decided on the act George had already written. Due to this George insisted on getting top billing and that they split the profits 60/40. Although, Gracie would recall for the rest of her life that it was she who insisted they split the profits 40/60. During the rehearsal process it became clear to George Burns that Gracie was the whole act and the money was to be split 50/50. In fact, he’d always admit she did 95% of the work and he got 50% of the money. After they were comfortable with the material, which they named 60-40, after their agreement, Burns and Allen were booked into the Hill Street Theater in Newark, NJ for five dollars a day for a guarantee of three days. There were about 15 people in the audience the day Burns and Allen stepped foot on stage together for the first time. Gracie was supposed to be the “straight man” serving the lines so the comedian, George Burns could deliver the punch lines as they’d rehearsed. Except, that night, on stage, Gracie delivered the first line differently than she’d ever done in rehearsal and as soon as the audience heard her voice they laughed. Burns delivered the punch line and got nothing. And that was the way the act went. The Gracie that showed up on stage that night was not the Gracie George had ever seen before. There was a transformation and the audience loved her. He felt it. George Burns decided, between the first and second show, which was later that same day, to give Gracie a few of the punch lines. The audience roared with laughter. By the time the 3-day Newark stint was over, Gracie had the majority of the punch lines. “Dumb Doras,” were very popular characters in many acts that performed on vaudeville stages. But George Burns had never heard anyone deliver lines like Gracie. Burns would always say Gracie’s success was her honesty. She never tried to be funny. She simply answered the questions he posed and because she was who she played on stage the audience “got her” and responded in kind. 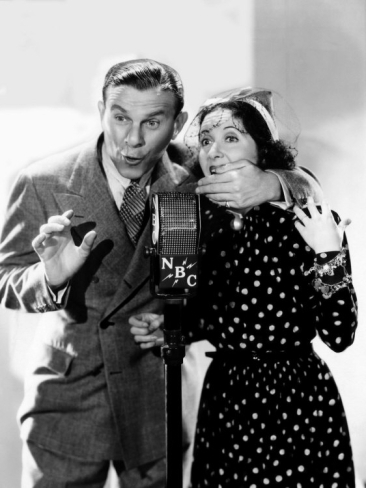 It wasn’t long before George Burns realized he was falling in love with Gracie Allen, the honest, beautiful petite woman he shared a stage with. After all, in her he’d found what he was searching for his entire life – a good act. The more time passed, the surer George Burns was that he was in love with Gracie, but it took him over a year to tell her. She had a boyfriend, another performer who traveled elsewhere with his own act. His name was Benny Ryan and in 1925 he returned from a long tour with plans to marry Gracie. Fate interfered when Burns and Allen were offered a $450-a-week gig to tour. That was money that was hard to turn down. It was during that tour that George got the nerve up to ask Gracie to marry him for the first time. She turned him down. Several times. It wasn’t until George gave Gracie an ultimatum on Christmas 1925, “either marry me or we’re breaking up the act” that she took him seriously. He was so mean he made her cry, which is how she realized she loved him, “you’re the only boy who ever made me cry. If you could make me cry, I must really love you.” She finally accepted his $20 engagement ring. After breaking in their new act “Lamb Chops” in January 1926, Gracie married George Burns in Cleveland. “Lamb Chops” was a smash hit and Burns and Allen were in high demand. That was the routine that took the duo to the Palace Theater on Broadway, which was when George Burns knew for sure they were stars. Burns and Allen played the Palace for the first time in 1928 and to ensure the audience was “friendly” Burns had invited friends like Jack Benny and his wife Mary, dress designer Orry-Kelly, and a “handsome necktie salesman who was trying to break into show business with a stilt-walking act” named Archie Leach. 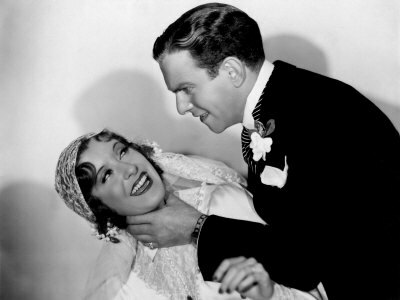 All reviews lauded Gracie Allen with little mention given George Burns, other than his good ideas and his talent for feeding the lines to Gracie. But George didn’t care. He not only recognized Gracie’s talent, but admired it. He’d wanted to be a success and he was. He let her fly and stood below in case she fell. Gracie’s star never fell. 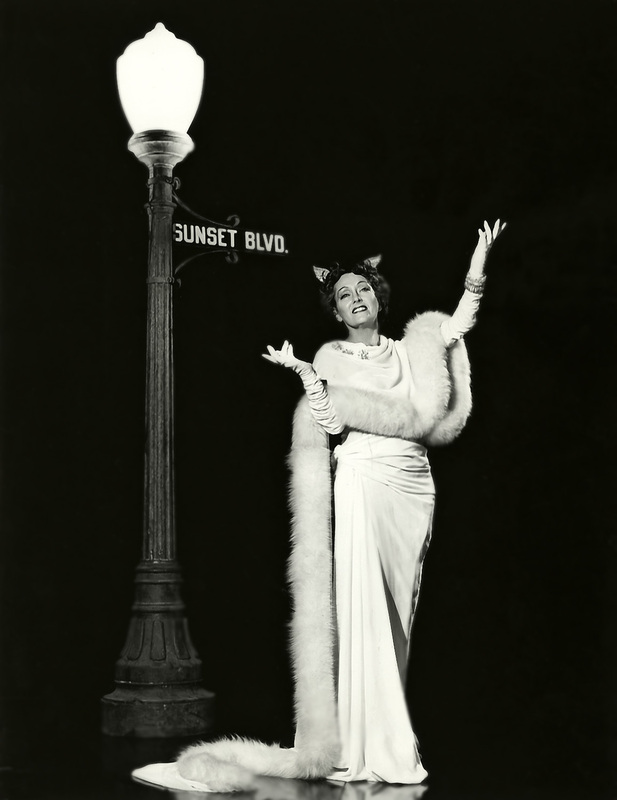 Burns and Allen would go on to break Broadway records and Gracie would serve as the first Mistress of Ceremonies in Palace Theater history. Heres a slightly different version of “Lamb Chops” as Burns and Allen performed the routine in their short film, Lamb Chops for Paramount Pictures in 1929. While waiting in line at a department store once a young woman started talking to Gracie about the movies to pass the time. “Have you seen ‘My Foolish Heart’?” the woman asked Gracie. 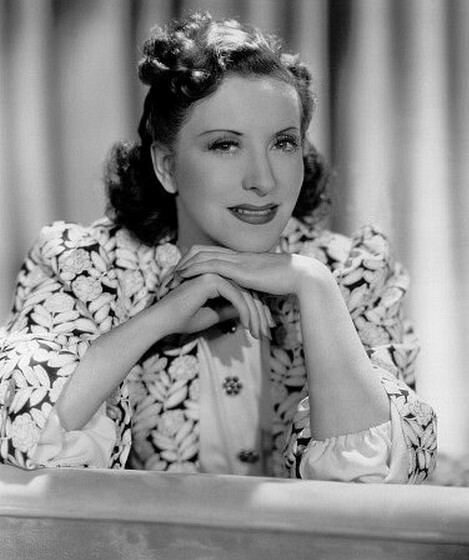 Gracie Allen remained close to her family her entire life and cared for them financially until their death. My favorite story has to do with her Aunt Clara who Gracie was very close to. She’d moved in with Clara for a few years when she was a young girl. Her Aunt Clara had married a wealthy man and never worried about money. When George and Gracie were starting their careers on Vaudeville and not doing well financially, Aunt Clara would send them a check for $25 every single week to help them out. She continued to do so until the day she died although by that time, Burns and Allen were the most popular act in the country. When Aunt Clara’s husband died, it turned out he’d left little money behind, but Aunt Clara never knew it. Gracie started depositing money into Aunt Clara’s account every month so she was never the wiser. This would also allow for Clara to continue to send Burns and Allen the weekly $25 check. Gracie Allen didn’t want to be in pictures. But given her ever-growing popularity, it was an inevitability. Still, the opportunity presented itself as somewhat of a fluke. At a party for Jack Benny one night in 1929, George overheard Benny’s agent ask him if he wanted to make a 9-minute short film for Paramount Pictures for $1,800, taking the place of Fred Allen who’d been offered the part but couldn’t do it. Benny declined and Burns jumped in and said he and Gracie could. Gracie wasn’t happy about it but she did it, the film version of Lamb Chops included above. Paramount loved the short so much that they signed Burns and Allen to a contract to make four more shorts at $3,500 each. In the next two years they made a total of fourteen. Mostly written by George Burns, all the Paramount shorts that Burns and Allen starred in were basically skits where they played different characters but with very similar plots. 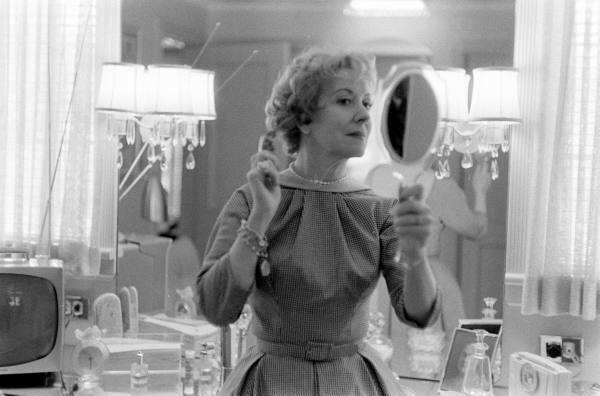 Gracie was always Gracie – the character never varied, she always knew her lines and she never needed direction. Burns always stated he needed direction. Invariably, he’d ask the director, “where do you want me?” and the director would always guide him to a spot outside of Gracie’s light. After making a few short films, Gracie didn’t mind making movies anymore and got a thrill out of working with big Hollywood stars. She always considered movie stars the biggest stars of them all. 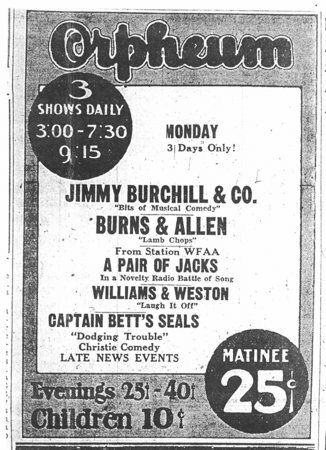 Along with signing Burns and Allen to a movie contract, Paramount had signed them to a personal appearance contract and one of the biggest thrills of Gracie’s professional career was playing at a vaudeville theater across the street from where one of their short films was playing. She stood for quite a while looking up at the theater marquee. 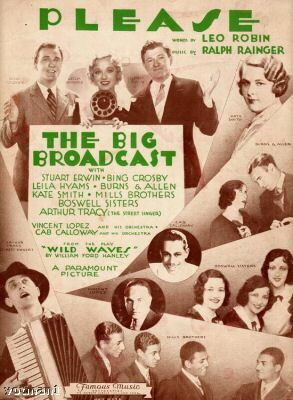 Burns and Allen made their feature film debut in Frank Tuttle’s, The Big Broadcast of 1932, which was Bing Crosby’s second picture. The couple went on to work with other big screen stars like Bob Hope, Bela Lugosi, W. C. Fields and Carole Lombard, who Gracie really enjoyed spending time with because the movie star had a fabulously foul mouth. The movie both Burns and Allen enjoyed making the most was George Stevens’, Damsel in Distress (1937), a musical comedy starring Fred Astaire. Paramount lent Burns and Allen to RKO for the picture, which was Astaire’s first movie without Ginger Rogers in several years. The score was written by George and Ira Gershwin, the last complete score George Gershwin wrote before his death. And it was directed by George Stevens. In other words, this was a big picture! But before RKO agreed to Burns and Allen appearing in the film, the couple had to dance for Fred Astaire and get his approval. They did and Gracie, who performed four or five numbers with Astaire in the picture, was beside herself. She worked incredibly hard on the picture and to keep up with (arguably) the best dancer the silver screen has ever seen. Gracie is great in the picture. I included the “whisk-broom” number because Astaire incorporated it into the film after seeing the number as rehearsed by Burns and Allen. Pretty impressive – Gracie even gave Fred Astaire choreography tips. In 1938, mystery writer S. S. Van Dine published “The Gracie Allen Murder Case,” featuring detective Philo Vance and Burns and Allen. When Paramount decided to make a film of the book, George Burns suggested his character be eliminated. As he says it, they didn’t argue. 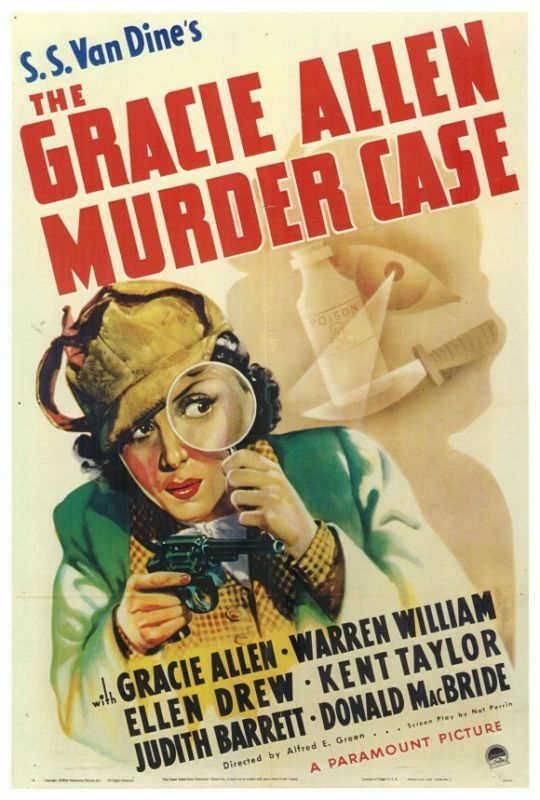 Alfred E. Green’s, The Gracie Allen Murder Case became the first film Gracie made without George. As Burns described it, it was brilliant casting. Gracie Allen played Gracie Allen. True to the character, she drove the detective crazy as he tried to investigate the murder of Benny the Buzzard. Gracie played Mrs. North in Robert Sinclair’s, Mr. and Mrs. North in 1942 and then made a cameo appearance in a concert segment in Richard Thorpe’s, Two Girls and a Sailor in 1944, her last film. While Gracie enjoyed the company of big movie stars, she grew to hate getting up while it was still dark out and waiting around all day on movie sets. 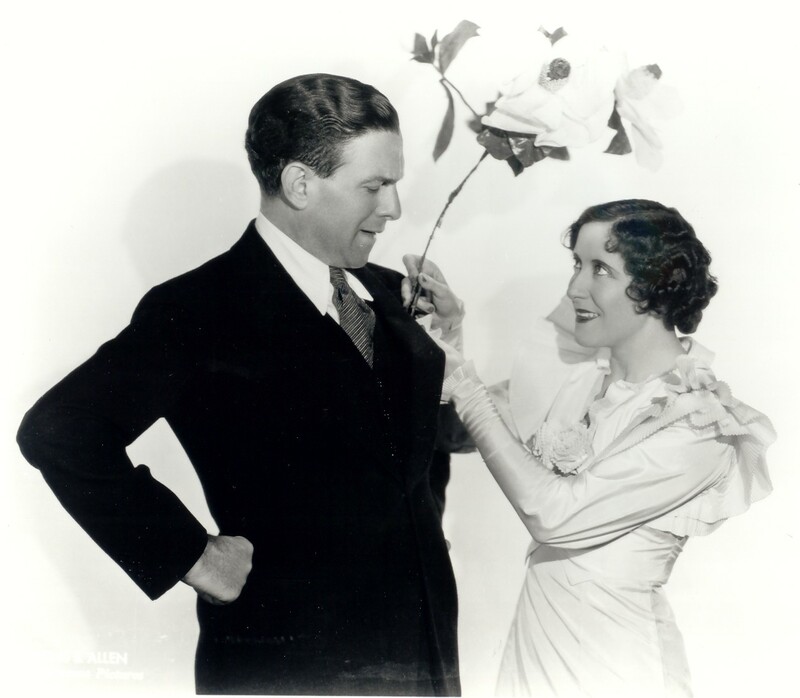 Burns and Allen roles in films, with few exceptions, usually called for them to do routines they were very familiar with, which they did in one take. So their acting career was more waiting around than acting. That wasn’t for Gracie. She had much more important things to do – like shopping and volunteer work. And she certainly didn’t need the money. By the time Burns and Allen were becoming stars of the stage, vaudeville was dying. And by the time they made their first feature film, they were radio stars. Making the transition to radio was very easy for the duo because they continued doing the exact same act but without the dancing routines. Gracie got as nervous before each radio broadcast as she did before each live performance. George Burns said he always knew Gracie would be as big a hit on radio as she was on stage, but a few radio “experts” said she’d never make it because her voice was too high. George was right. Burns and Allen got their big break on radio from Eddie Cantor who was one of the first radio superstars. Cantor invited Gracie to appear on his show. Without George. Encouraged by her husband, Gracie appeared for the first time on American radio and was a huge hit. Immediately following that broadcast, NBC offered Burns and Allen $750 to appear on “Rudy Vallee’s Fleischman’s Yeast Hour” (what a title!) and when George Burns asked, “HOW MUCH?” because he was shocked anyone would get paid that much to be on the radio, NBC upped it to $1,000. Burns and Allen’s “talking act,” meaning they didn’t juggle or work with a trapeze act, was perfect for radio. And the medium now brought the duo to virtually every home in the country. 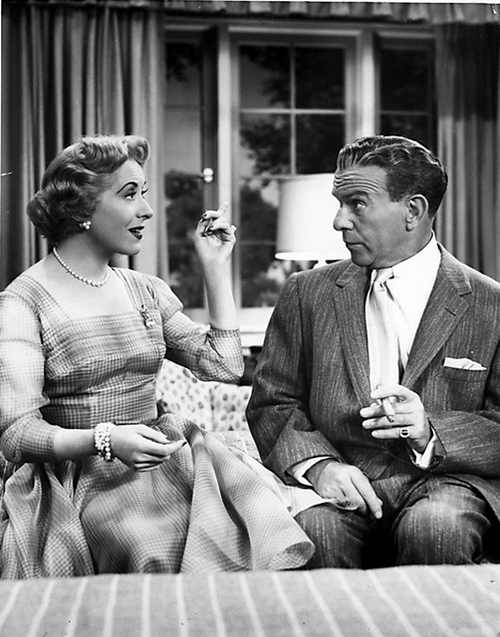 Gracie’s illogical logic, as George Burns referred to her unique repertoire, clicked with audiences immediately. Women understood her and men thought they were married to her or everyone knew someone like her. Burns and Allen worked as part of Guy Lombardo’s radio show for almost a year before they were offered $2,000 a week to star on their own show in 1934, which they named “The Adventures of Gracie.” As their theme song they picked “Love Nest,” which they’d used on vaudeville. The song would remain as their theme throughout the rest of their radio and subsequent television careers. Common in the Burns and Allen act through all its incarnations was mention of Gracie’s relatives. Gracie was a certified nut who came from among nuts. She had stated when she appeared on the Cantor show that her brother was missing. Cantor played along and before they knew it, the joke turned into a national craze with everyone looking for Gracie Allen’s brother. The sponsors of every show Burns and Allen appeared on took full advantage of the stunt. They hired the Burns Detective Agency to look for Gracie’s fake brother and Gracie was photographed at the Statue of Liberty, the Empire State Building and numerous other venues looking for her brother. Within two weeks Burns and Allen received 350,000 letters about the missing man. Some of those were from kidnappers claiming to have her brother asking for ransom. The only person in the world not interested or amused with Gracie’s missing brother was her real brother, George Allen who was hounded for endorsements once the media found out he actually existed. The stunt eventually subsided, but not before “The Adventures of Gracie” became one of the most popular shows on radio. The biggest stars in Hollywood guest starred on The Burns and Allen radio show – the title was officially changed from “The Adventures of Gracie” in 1936 and the premise to a situation comedy-style show in 1941 featuring familial plots each week, similar to popular sitcoms we’re used to seeing today. That is, instead of the earlier shows, which were made up of a collection of skits. One of my favorite episodes guest stars Marlene Dietrich. In this episode from 1949, “George has a Cold,” Gracie wants to attend a pageant hosted by her club, The Beverly Hills Uplift Society but George wants her to stay home and take care of him. To get Gracie to stay home, George asks Marlene Dietrich to “babysit” him for the evening because he’s sure Gracie would be too jealous to allow the gorgeous Marlene to stay alone with her husband. It’s very funny. Actually, I’ve never heard a loser in the lot of Burns and Allen shows and I’ve listened to many. The Burns and Allen Show ran until 1949 and was inducted into the Radio Hall of Fame in 1994. Many stars of radio were hesitant to venture forth to the new medium of television. But George Burns knew he and Gracie could make the transition easily. Or, their act could. Television was hard work. By the time World War II ended and more and more Americans owned televisions, Burns and Allen were ready. Well, George was. Gracie had no interest in moving forward to a new medium that was hard work. She liked her life as it was – radio was easy. She worked only a few days a week, which left her time for shopping and to spend with her kids. She was already talking about retiring from show business by 1948 and George had to talk her into starting a whole new career. With the unwritten stipulation between the two that she would simply quit if she didn’t like it, Gracie agreed to do a television show. George Burns met with William Paley, Chairman of CBS almost immediately to discuss what format to use for the show. The structure of the show wasn’t decided that day, but one decision was made. Gracie would play Gracie. Everything else would fall into place. And it did. On October 12, 1950 the band began to play “Love Nest” and “The Burns and Allen Show” went on the air. The plot of the show was similar to the Burns and Allen radio show during the previous few years. Burns and Allen were a married couple, he was in show business and the situations were domestic and often involved the couple’s neighbors and best friends, played on both the TV and radio shows by Hal March and Bea Benadaret (another wonderful funny lady). George would introduce each show by standing in the wings, in front of the set telling anecdotes about show business and he’d jump in and out of the story unfolding in the episode. “The Burns and Allen Show” was simple. It featured no outrageous situations or characters. Except for Gracie, who simply made ordinary things that people related to very funny. Hers was always a unique perspective. That illogical logic of a classy, stylish lady no one could emulate. Although she wasn’t a physical comedienne, Gracie was as good on television as she’d been on radio. Listening to her deliver her lines is just that entertaining. The television show was an immediate success. “The Burns and Allen Show” ran for eight years, then the longest running sitcom on television. The show went off the air when Gracie retired. She did the show eight years at George’s urging each and every year. She’d been more than happy with one season. But she always wanted to make him happy and never did anything but give it her all. She was the consummate professional. Gracie received five Emmy Award nominations for her work on “The Burns and Allen Show.” She won none. By the end of the eight seasons though, Gracie Allen was tired. The show was grueling for her as she had – by far – the most lines of dialogue to memorize each of thirty-nine weeks the show aired for eight years. And she made it all look simple. She had perfect timing and never wavered from that carefully crafted character. She was the show. Then one day Gracie stopped the taping to ask for one of her lines. At that moment George Burns knew she was at the end of her career. In forty years she’d never stopped a taping or forgotten a line. In fact, despite the fact that she had limited eyesight, suffered from debilitating migraines her entire life, Gracie missed only one performance in four decades. During one radio show she simply could not do, her close friend Jane Wyman played Gracie’s part opposite George Burns. 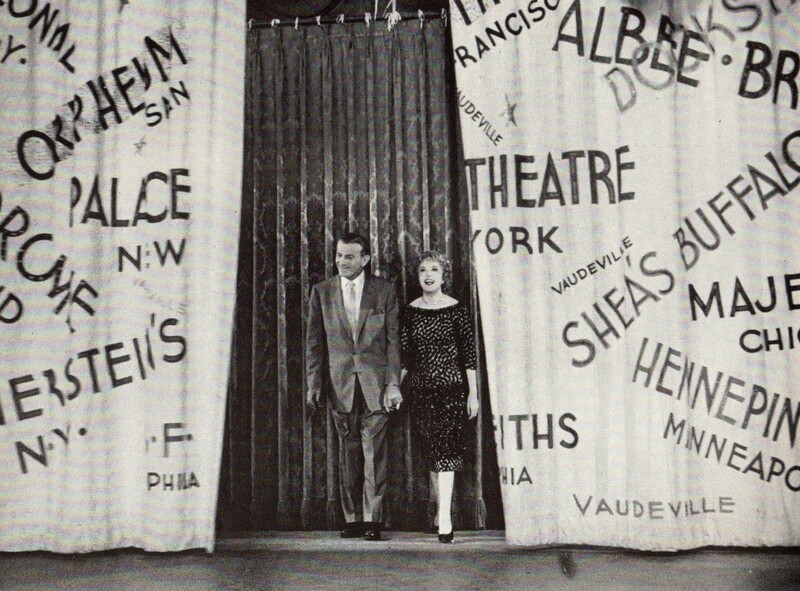 George and Gracie take their last bow together, the curtains decorated with the names of all the vaudeville theaters they played. Gracie never ad-libbed. She followed the script as written very closely, which was key given the very confusing and precise dialogue she had to deliver during each show in every medium she performed in. If a question was asked wrong of her she couldn’t deliver her line because it was so precise that the routine would be lost. Gracie never considered herself a comedienne, instead she called herself an actress. She never told a joke in her life off stage. She remained quiet and shy, a very private person. Forever the Irish Catholic girl who went to church as often as she could. Gracie was embarrassed by off-color jokes and never left the house unless she was dressed to a tee. When she and George entertained at home, and they did so often, she rarely got up to perform. While she was the star on-stage and got all the rave reviews, she allowed George the spotlight amongst friends. Entertaining was her job. When Gracie retired, she stayed retired. She spent time with her kids, played cards with friends and listen to gossip, which she got a dose of daily from her dear friend Orry-Kelly. She also shopped. A lot. It was her favorite activity. Gracie enjoyed her retirement until she died of a heart attack in 1964. Six years after she’d retired from show business. Far too early. Gracie Allen was one of the most popular women in the country for four decades. So popular, in fact, that a New York beauty salon even offered a Gracie Allen facial in which the client would lie down on an incline board so the blood would rush to her head. This increased circulation to the face, enhancing skin appearance. It was named after Gracie because it also caused extreme dizziness. A unique and bright talent she truly was. A pioneer of radio and television who paved the way for other funny ladies who followed. Yet, she was just Gracie. Most of what is noted in this post is gathered from George Burns’ book, Gracie: A Love Story. It’s a wonderful read, full of love and admiration for the talent and woman who was Gracie Allen. And Burns dedicated the book to me, “all the fans who love Gracie.” And I do. In fact, I’ve easily spent more time with Gracie Allen than I have with any other Hollywood star, listening to her radio shows in particular as often as I possibly can. Recently I was stuck on a plane for three hours without moving an inch. While the other passengers squirmed, losing patience by the minute, I hardly noticed. I was listening to Gracie trying to impress her neighbors, James Mason and his wife, Pamela from a Burns and Allen radio episode appropriately titled, “Impressing the Neighbors.” The episode starts with Gracie telling George that the Masons recently moved next to them and she wants to invite them to dinner. George tells Gracie not to because she has nothing in common with them. Gracie disagrees and feels she knows James Mason very well. After all, she’s been using his jars for years. Needless to say, the Masons come for dinner and Gracie, who now knows the couple are avid cat lovers and have written a book about raising the animals, tells them she and George have raised cats for years too. 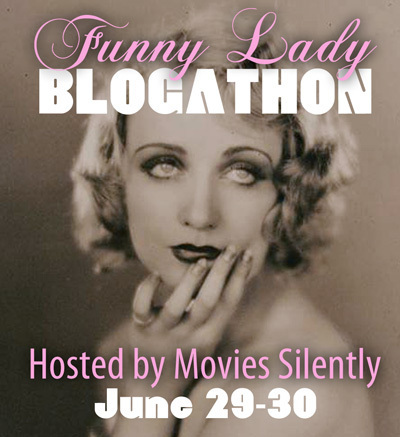 This post is my contribution to the Funny Lady Blogathon hosted by the wonderful, Movies, Silently. The participant line-up for this event is unbelievable so please be sure to visit to read about our greatest Funny Ladies from all eras of film. I am a huge fan of Gracie devour everything about her I can get my hands on… I wasn’t born until 1967 but for some reason I just love her and feel robbed that I never got to or ever will get to see her live… The truly odd thing I have never had such an obsession for no other celebrity I can think of no other from yesteryear or today that I would care to meat or even know about aint that just crazy??? Loved that part about Aunt Clara and Meeting the Neighbors radio show with James Mason and his wife! Very enjoyable and informative post! Thanks. Glad you enjoyed this. You’ll note the Aunt Clara part had nothing to do with the rest of the post but I couldn’t exclude it. Thanks for stopping in and your comments! And now I know I have something in common with Gracie. Accidents! (Mine were a coffee maker, a glass tabletop, a crowbar and a knitting needle) I really appreciated knowing more about her life and career. 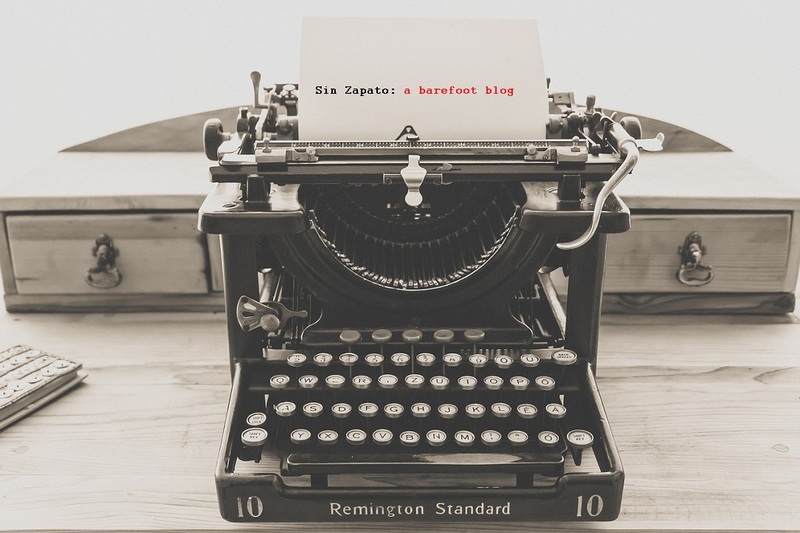 Thank you so much for being a part of the blogathon! Wow to you too! That’s many potentially serious accidents you list! The Aunt Clara $25 story is my favorite. But so much funny stuff with Gracie! Thanks for hosting this wonderful event and for allowing my participation. Getting the word out on Gracie to all those who may know nothing or little about her is wonderful. What a wonderful read. Thank you so much. A mini- biography! And thanks too for the link to that 1929 short,Lamb Chops. Gracie looked lovely. She would surely have had a solo career in films if she had wanted to. I must listen to some of the radio shows. Aren’t we lucky these shows can still be heard. Thanks so much! I’m glad you enjoyed this. She could have done anything she wanted. She was so beloved. I thought the post was way too long already but I’d originally included the details of her run for President. I may post it separately to commemorate her birthday in a few weeks. She was just too much. And you really MUST listen to some of the radio shows. I do during road trips and traveling, etc. They’re such a great way to disconnect. And laugh – A LOT! Love Gracie, love your post. Thank you for the tribute! Wonderful post. I’ll have a smile on my face all day recalling the joy that Gracie, and George, brought to us. So glad – spreading a smile or a laugh was Gracie’s “thing” so that makes me happy! Wow – what an amazing (I read it twice) and entertaining post – and a terrific choice. I love Gracie, of course (who doesn’t), but didn’t know that much about her. And I like her even more after learning she and I have something in common – a crush on Charlie Chaplin! I remember when she died (I’m getting to be older than dirt, but I was a kid), because George was so broken up and remained so the rest of his life. Speaking of George, a relative of mine was a flight attendant for TWA back in the day and she said that George Burns was the nicest celebrity passenger she ever had. Ironically, one of the funny ladies that is a subject of this blogagthon was one of the worst (but she shall remain nameless)! So funny! I had no idea she was such a character in real life. Thanks for including some jokes – the material just speaks for itself, doesn’t it? I too am a big fan of Gracie Allen. Her character is, in my opinion, a woman from another planet who lives among us in our reality. Always kind and gentle, Gracie tried to help people, and thus begins a series of unfortunate events. One of my favorite episodes is the one where she tries to find a husband for her wardrobe lady, because the woman just won a trip to Hawaii, and Gracie doesn’t want her to go alone (of course, the woman is already married!). And, I love the scene where she is baking a cake. She always makes TWO cakes, and puts them in the oven 10 minutes apart. When the first one burns, she know the second one is done. Thanks much for stopping in and I LOVE meeting Gracie fans! This is an excellent piece Aurora. I remember watching her show in syndication(of course) growing up. I especially like your insertion of her famous dialogue with Burns. They were definitely quite the pair. Gracie is unique, she was through vaudeville, talkies, TV and radio, all entertainment medias of 20th century! Wow! Thanks for the comment in my post, you’re always so sweet! I’m ashamed to admit I knew very little about Gracie – what an insightful and beautifully written post to introduce me to her, thank you. I love all the anecdotes you included, and the advice from her father: that was spot on! No shame! It makes me really happy to know I’ve introduced you to this great talent. So happy you enjoyed the post. 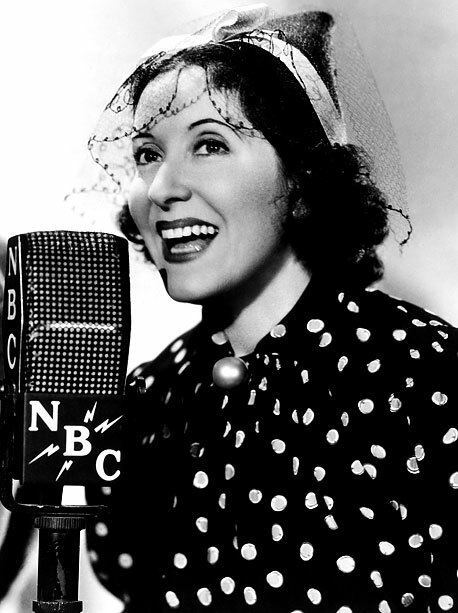 I absolutely adore Gracie Allen. Sometimes I hear the Burns-Allen radio show on Sirius and I marvel at her timing and how she can make you laugh out loud at her lines. Every time you post a comment here you grow more and more fabulous! If you adore Gracie then you’ve reached the pinnacle! 😀 I don’t use sirius, tho am thinking about it, but I download radio shows through podcasts on iTunes. It’s cumbersome tho so I may do what you do. So happy you enjoyed this. And, as always, thanks for stopping in and commenting. I very much enjoyed reading this loving tribute to Gracie! I’ve enjoyed her radio work, and I’ve always meant to learn more about her. Your blog post helped me with that, and now I’m adding George’s book to my to-read list! DO read it. It’s lovely and very funny. Thanks so much for stopping in and your comment. Great article! I posted it to the facebook for a play I’ve written on Burns and Allen, hope you don’t mind. Hi! I’m honored you’d post this and that you liked it. I’ll be over to visit your page and read the essays soon FOR SURE! I adore Gracie, as I’m sure you can tell. This is a wonderful post! I absolutely love watching/listening to George and Gracie. His book about Gracie is wonderful and one of the best biographies I’ve ever read! I always remember his story about Gracie kicking him for not holding the door open. I’m tempted to believe they were possibly the best offscreen couple in Hollywood. I would love to have known her. And George of course. And attend their parties and watch George and Jack’s shenanigans. I really love Gracie Allen for who she really was and for her funny side on stage their will be no women like her I fell in love with and to this day I am not married I know I never got that chance to marry her but I hope someday I can. There’s this song by the bee gees that says if I cant have you I don’t want nobody else. So I really hope I can marry her and show her and tell I love her and I am a really good gentleman. I cried when I found out she died she was the only person who could make me laugh all the time when I saw her for the time on screen and heard that voice I had this bubbly warm feeling in my heart; and to find out what she was the way she was in real life made me love her more she was the most beautiful woman on the planet with the most sweetest voice. she was a wonderful person. I don’t see her as much cause of work I miss her show. I hope that she will look the same and sound the same I will always love her till the day I die. There’s a saying” Gracie us with your presence”. I love you Gracie.